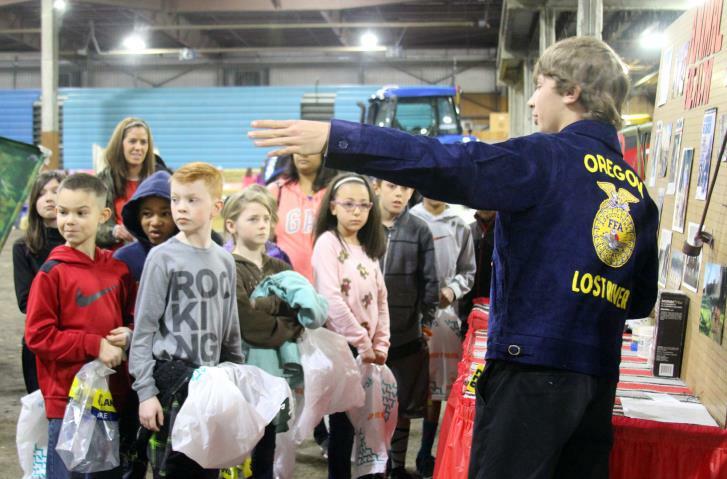 More than 960 local elementary students will learn all about agriculture at the annual Klamath County Farm Expo, coming up next week. On Feb. 21 and 22, students from the Klamath County School District, the Klamath Falls City Schools, Lake County School District, Tulelake School District and private and home schools will visit the 17 booths at the Klamath County Fairgrounds. They will learn from local farmers, ranchers, dairymen and FFA groups about all the ways agriculture affects their lives. Booths will feature dairy cows, sheep, pigs, goats, horses, honeybees, beef, trees, hay, mint, water, gardening, potatoes, grains, soil, forestry, water conservation, and vector control. FFA chapters from Henley High School, Bonanza Schools and Lost River Jr./Sr. High School are also participating by helping set up, running booths and leading the children. The event will be hope to the public on Wednesday evening 4:00 PM to 8:00PM. Iron Chef Challenge: 5:15 p.